Among the things to celebrate on November 6th was the 62% (“no mine”) result on the Oneida County metallic mining referendum. We are very proud to see Oneida County residents come together to protect their water resources from a sulfide mine at the Lynne Deposit. Kudos to grassroots groups like Protect the Willow for their hard work to educate their community on the dangers of mining pollution. While some Oneida County Board Supervisors are on record that they are taking this vote as a mandate to not purse sulfide mining in the Town of Lynne, other County Board Supervisors are still interested in pursuing sulfide mining in a wetland. River Alliance will continue to support local efforts to protect our waters from sulfide mining pollution. There is much work still to be done to make sure the outcome of the referendum is upheld by the Oneida County Board. It is equally important for other communities that want to protect their waters from sulfide mining pollution to stay vigilant and learn from this and other sulfide mining campaigns in the region. Stay tuned for actions you can take in the upcoming months and see the backstory below. The content below is a selected article from our fall 2018 WaterWays newsletter. Download a PDF of the full Newsletter. Crandon, Penokee Hills, Back Forty and now the Lynne Deposit in Oneida County. These are some of the mining proposals River Alliance has worked with local advocates and partners to stop over our 25-year history. It feels a little like the Groundhog Day movie, legislators and mining companies continue to repeat the same types of proposals. The data on the risks of mining to our waters and the resources they support has also not changed. Sulfide mining poses too many risks to our drinking water and our waterways. 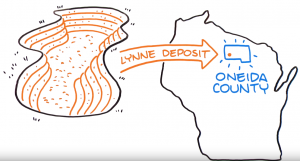 Now that the legislature has weakened Wisconsin’s metallic mining laws (Act 134), some communities with known mineral deposits have updated their local ordinances to do their best to protect themselves from metallic mine proposals. However, one county has gone backwards. Luckily, just like in all of the other communities that have faced potential mines, local advocates have stepped up to educate their friends and neighbors about the issue and the risks this type of mining would bring. 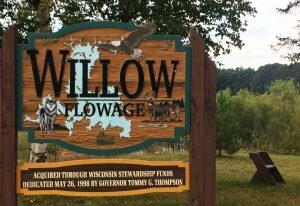 Business owners and homeowners in Oneida County have created a local campaign called Protect the Willow, named for the beautiful river and flowage that would be impacted if the Lynne Deposit is mined. 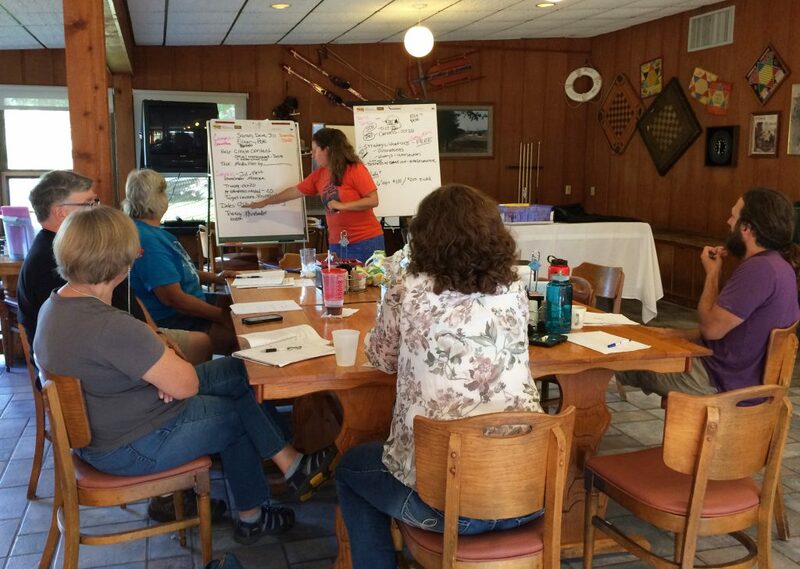 Community members know how vital these waterways are to the $305 million tourism industry in Oneida County. 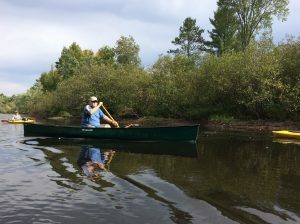 Healthy and scenic lakes and rivers are one of the main reasons locals and visitors alike have chosen to spend their time and money in Oneida County. River Alliance is proud to support the efforts of Protect the Willow. We have provided assistance to the campaign, including a new version of the whiteboard video we created for the Back Forty project. If you live in Oneida County, or know people who live there, we encourage you to learn more about the referendum and share information about the risks of metallic mining. Watch the whiteboard video and learn more about the local campaign at protectthewillow.org.